Fluorescent Perspex sports a vivid, fluorescent edge which appears to glow under ambient light as though having its own light source. A popular choice for designers and fabricators, it is available in a wide range of colours. 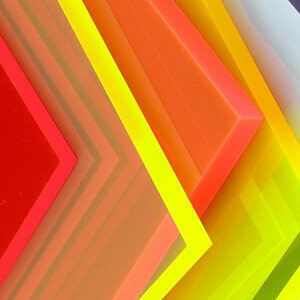 Fluorescent perspex creates a striking effect for any display.